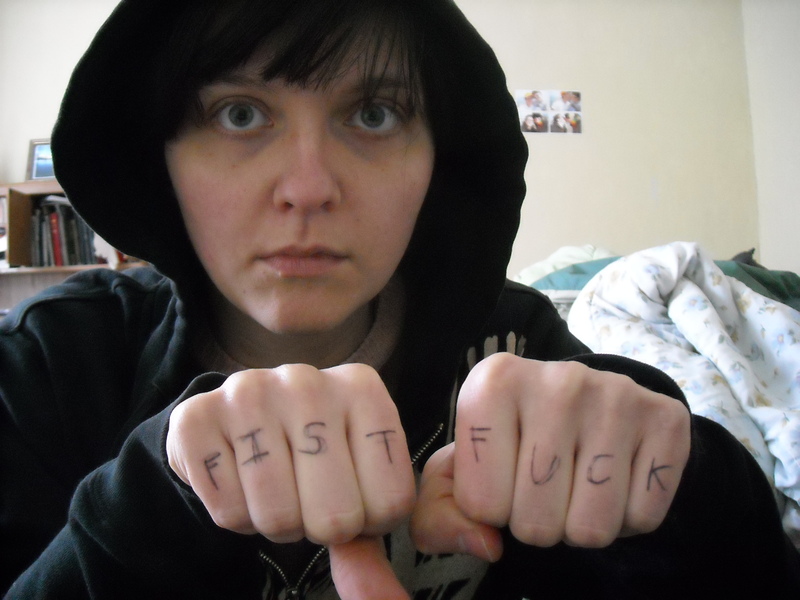 weekend knuckle tattoos, part 6? hello from the lower east side! i am sitting in my sister’s purple bedroom, waiting for her to get back from the doctor’s. i’m here for the feminist zine fest in brooklyn and sorta-my-dads-birthday-even-though-he-doesn’t-celebrate-it-because-he-is-depressed-about-getting-older and general why-not-ness. so many good people to see and so little time to do it! but it’s ok, i can try. 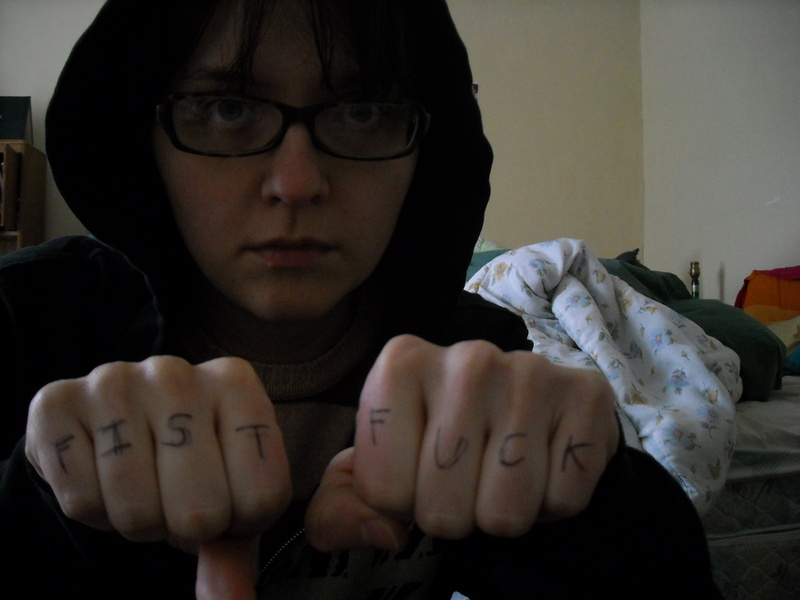 i drew these knuckle tats on the megabus yesterday. surrounded by a bunch of whiny, healthy, well-groomed college kids. i got two seats to myself because i look weird. hooray. 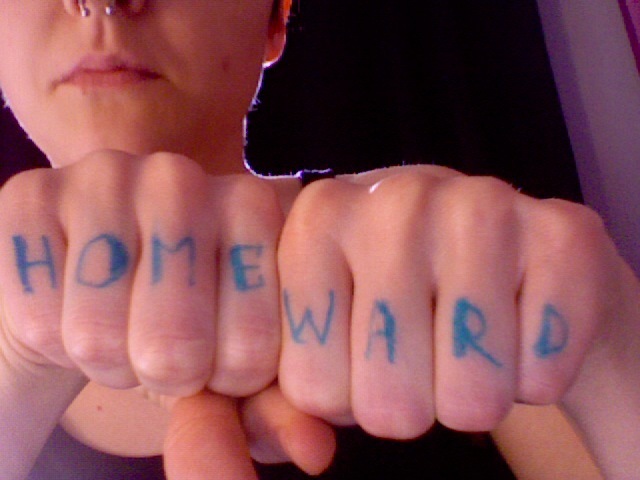 the tats are an unconscious reference to an awesome drawing by my friend o’ryan, and also, of course, because i was headed “home”. but is new york my home? no, i don’t think it is anymore. i miss the people i know but not the city so much. i kind of wish i was at my actual home, but i’m glad to be away. i know getting away is important. trying hard not to forget that.